Just bought this a few weeks ago. 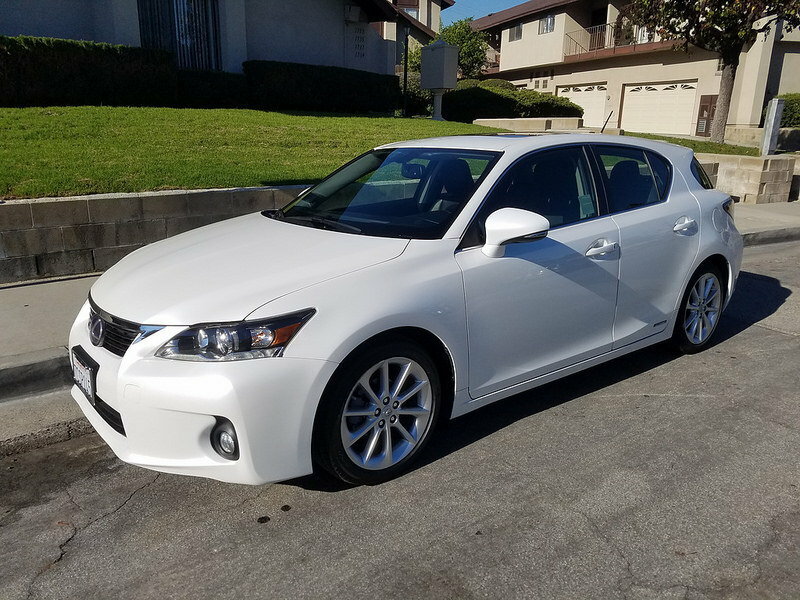 2013 CT200H - Comfort Package, Premium Package, Navigation. How many more miles/years on your L certified warranty. I want to pick one up for my gf in the future. Car looks good but i agree i dislike the previous owner's mods too. If you like the slightly lowered look you can get some F Sport springs (you need to purchase springs may as well get Lexus ones) and yeah get the stock muffler back. Surprised someone actually makes a muffler for this car and engine. $10.5k ..........That's a good price .. from a Lexus dealer? or private's party ? Bought from a private party...one of those right place right time sort of deals. Offered 18,500 for a base 27k miles. average to good if it's a 2015 or up. 4. Listed for $23K as L/Cert. Repeatedly discounted $4K total since Oct '18. For those buying older models, do you run into any problems like the hybrid battery going out? Or has this car been pretty reliable after all these years? Cause I know it would probably cost around 4k to get a new one for the car. the battery is for all intents and purposes lifetime. if it ever fails, rebuilding it is dirt cheap. this 4-5k myth needs to end. shops do it for 1k or less. there's so much competition out there. You definitely need to factor this in to the cost as a possibility. I don't buy the lifetime battery thing, but the gas savings pays off a new battery fairly quickly for me. They are also possible to DIY so it's not really the same as an engine or transmission going out. Buying a used car is a risk no matter what you get. The batteries are robust ... one can always be unlucky. We have many Gen 3 Prius 2011's (three) now over 220k .. no failure. Our 2015 CT's only have 40k (2) ...... cars used in my business. My area has many Prius running around and my independent has only done one replacement -- a gen 2. My neighbor also did her gen 2 (2007) with around 100k. Both did full replacements with batteries sourced from Toyota .. so w/ labor it's a 3k proposition. There are various rebuilds available -- starting from 1k. It depends on the location -- we have so many in the mid-atlantic that the battery supply is high from wrecks. Some switch out for a used. We have a local rebuilder that opens them up -- removing bad cells and swapping used replacements. They have various qualities and warranties available depending on the cell quality. Remember in many states the battery is 10 years or 150k miles .. so that's going to get you past any manufacturing defect. Our Prius have required almost nothing -- except oil changes. The brakes last forever -- very easy on tires. The drivetrain has no real failure point. The item that must be done is the EGR valve and cooler. can you please stop spamming the forum. so transmissions are an issue with these cars?